With October officially here, it seems a good time to start thinking about all things Halloween-y and today I actually got ahead of the game and bought my daughter her costume. I also realised I hadn’t written my sign-up post for Fright Fall so here it is. Fright Fall is a week long read-a-long run by Michelle through her read the seasons blog. I did the Summer one and it was a lot of fun. This is shorter being only a week long (starting Monday) and there is a simple rule for the books you read – they have to be scary be that mystery, thriller, horror or gothic. You post what you plan on reading and how you did at the end. Tying in with my reading of Romantic Outlaws (yes, I’m still reading it!) 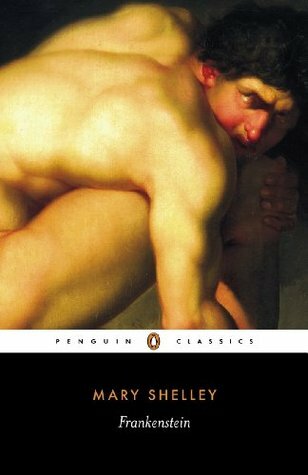 and my classic club list (because I’m way behind on my list), I’ve decided to read Frankenstein by Mary Shelley. I’m really looking forward to it, and maybe picking up some suggestions from others for spooky reads for the rest of the month. Wish me luck and, if you have time, click on the badge below to see what others are reading. I loved reading Frankenstein. It’s such a great book for such a young writer. It’s so interesting to examine the monster’s development and to try to determine his responsibility for this actions and how much responsibility is Frankenstein’s. I hope that you love it as much as I did! I enjoyed Frankenstein years go. I hope you enjoyed it as well! I hope so – though yet to start it…the best laid plans and all that! Frightful sounds like fun and I love that it’s wide enough to include thrillers and mysteries as well as horror. It is nice it’s not to strict…and only a week. That I can cope with. Glad it’s not just me. I wished someone a haughty birthday recently! Hi Emma! Just stopping by from Seasons of Reading’s #FrightFall to see who’s reading along with me. I enjoy reading the classics and then updated versions of them. I started the read-a-thon with family friendly murder, if there is such a thing. please visit this week to see what else I share. I do love classics but they also take longer and I’m not very patient. I am interested by the idea of a family friendly murder! Hi Emma. Glad you could join us again for another read-a-thon. I’m running behind on making the rounds. I hope you’re enjoying Frankensten. I can’t believe I still haven’t read it!